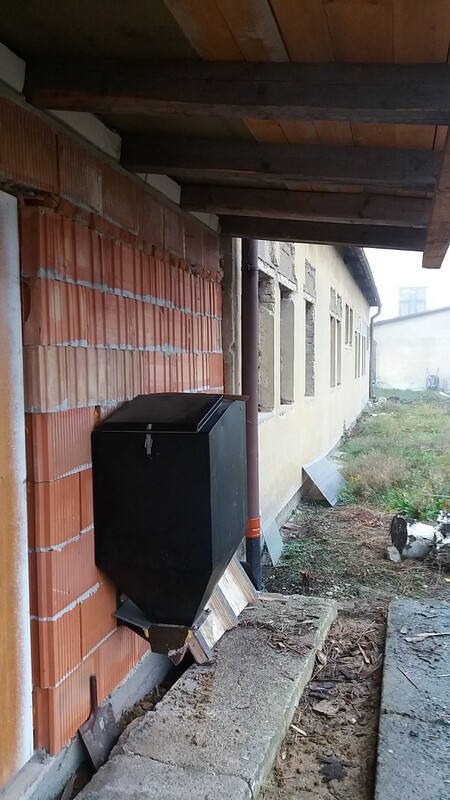 In the pictures you see the self-help rebuilding of the Viadrus boiler with a manual feed of fuel to the boiler with automatic fueling. The customer is from Jablonec nad Nisou. The original reconstruction was with a retort burner, with a boiler placed on an undisturbed pedestal. 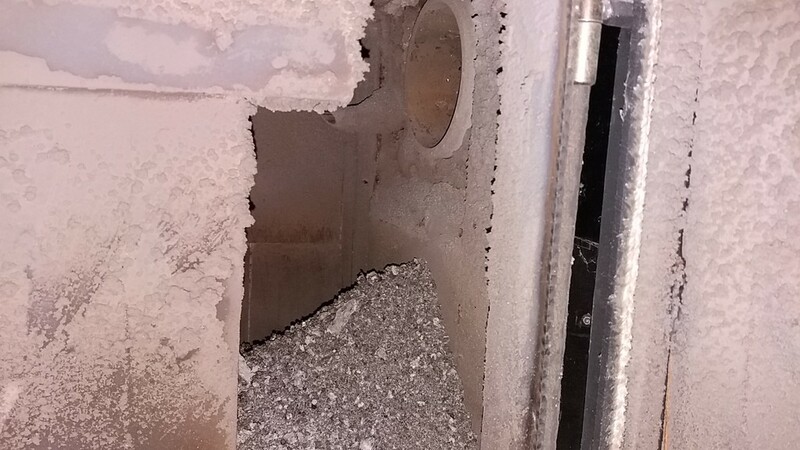 The customer produces himself hay pellets and was not satisfied with the burning of this fuel in the retort. Fuel burned daily into the hopper, burning hay pellets was poor, unreliable, and because of burning, it was also dangerous. Maintaining the attenuation mode for later retorting to the required power was impossible. 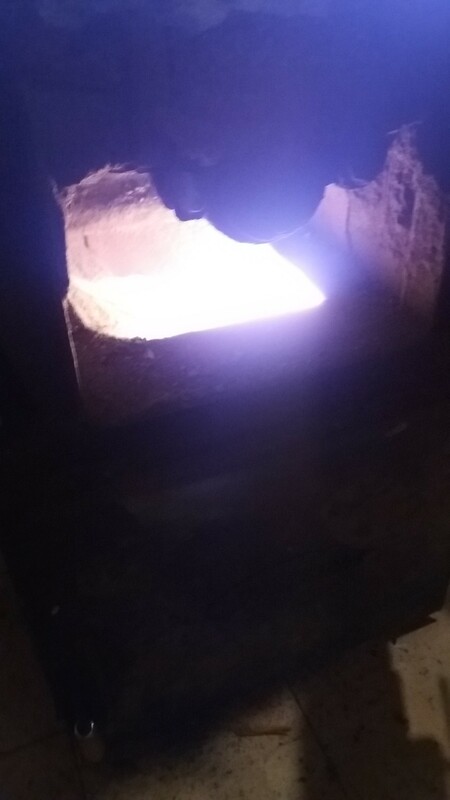 After a successful test of the same fuel in the MultiBio burner, the customer made a burner change, adjusting the flame direction in the boiler with a grenable plate as shown in the picture. 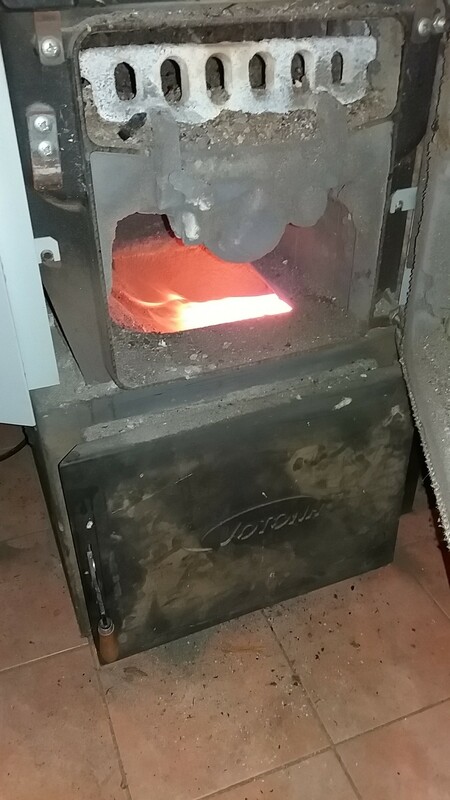 After a month of operation he was very satisfied, bought a second burner and made a self-help reconstruction at another boiler in his own property. 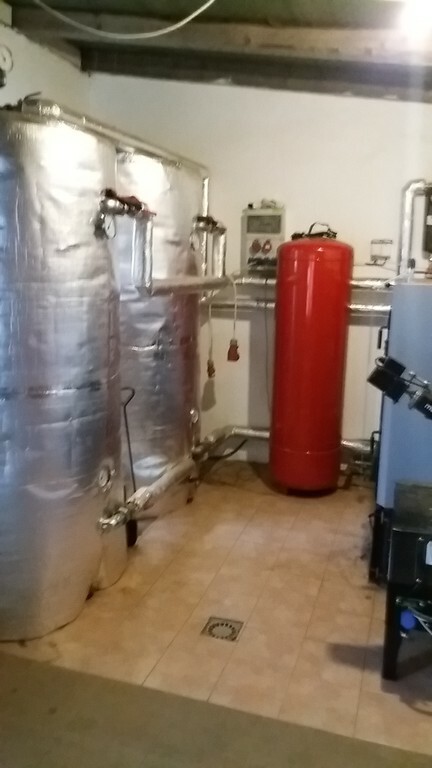 Now both boilers work on it automatically. Both Boilers now start and stop automatically without the need for operator assistance. 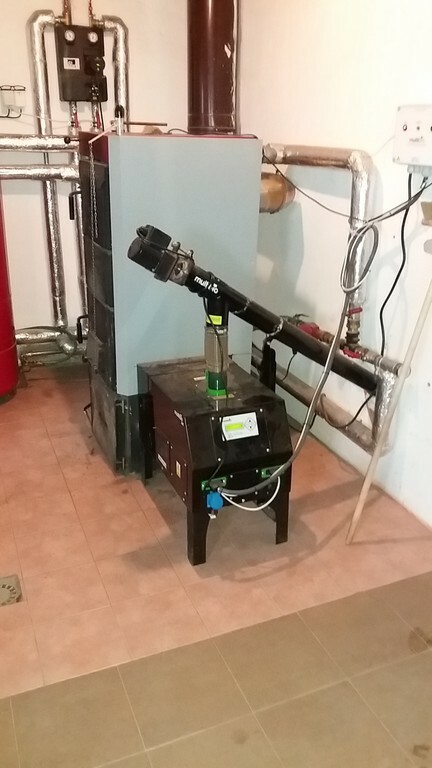 Thanks to an optional modulation of boiler output, the number of starts is minimized. 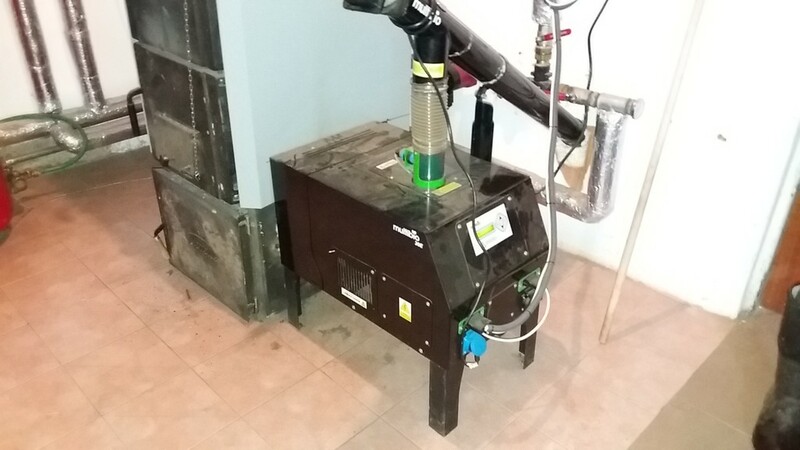 The burner can be purchased separately as a spare part together with an electrical switchboard that powers the burner. The switchgear is also equipped with an operational and emergency thermostat. It is possible to add a kit for a LAN module for connection to the boiler over the Internet. The burner can be switched on - also switch off by mobile phone or computer. The LAN provides information up to six temperatures and an error message such as fuel.